19996 You just can't be a Smurf with out the signature blue face and big round nose! 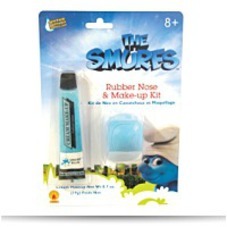 Features: -The smurfs smurf makeup and nose kit. 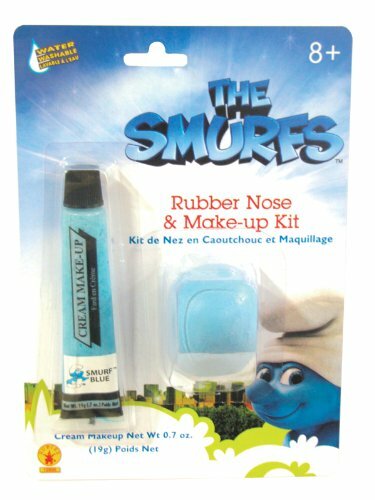 This Smurf makeup and nose kit includes one tube of Smurf blue water washable cream makeup and rubber nose. -Includes one tube of smurf blue water washable cream makeup and rubber nose. Dimensions: Height: 1" Length: 4" Depth: 6"
Package Dim. : Height: 0.9" Length: 5.3" Width: 4.1"